Zimbabwe's military deployed in several areas of the capital, Harare, Monday, to put down anti-government demonstrations against President Emmerson Mnangagwa's government. This is the second time that the military has been called in to put down protests since Mnangagwa came to power in late 2017. Both times the military opened fire and wounded civilian bystanders. Zimbabwe's well-trained and well-equipped military brought President Emmerson Mnangagwa to power in November, 2017, when it put former longtime leader Robert Mugabe under house arrest and patrolled the streets of Harare. Police and soldiers used "unjustified and disproportionate" force in that incident, according to an official inquiry, which did not recommend criminal charges. HOW IS THIS DIFFERENT FROM WHEN MUGABE RULED? 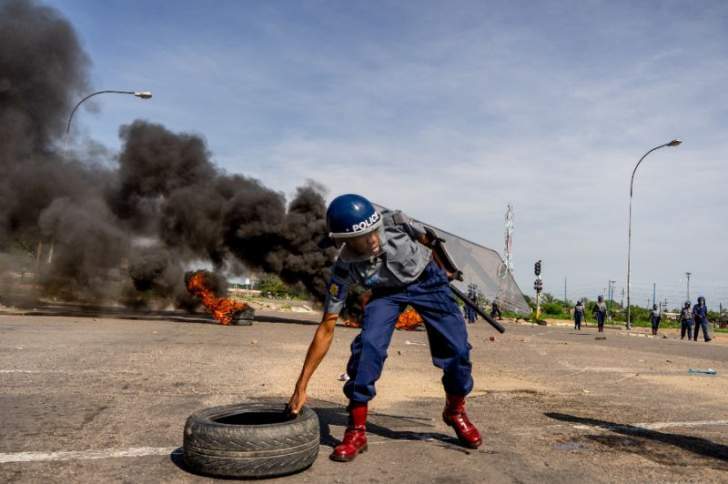 There were some anti-Mugabe protests during his lengthy rule, but they were quickly put down, generally by the national police force, especially the special anti-riot unit. The police frequently fired tear gas and rubber bullets and arrested people by the truckloads. The police invoked draconian laws that outlawed public gatherings of more than 3 people without prior police approval. Some prominent government critics were arrested, tortured and at least one was never seen again. Considerable violence was meted out by militias loyal to Mugabe, that were not part of the police or military but permitted to maraud with impunity. However, it was rare for the military to be deployed and open fire in the cities.